It seems the rumors of Chris Wood (Vampire Diaries) playing the role of Mon-El on the CW's 'Supergirl' were true after all. It was announced at the Television Critics Association summer press tour on Thursday that he'll be joining the second season of the DC Comics-based superhero show. 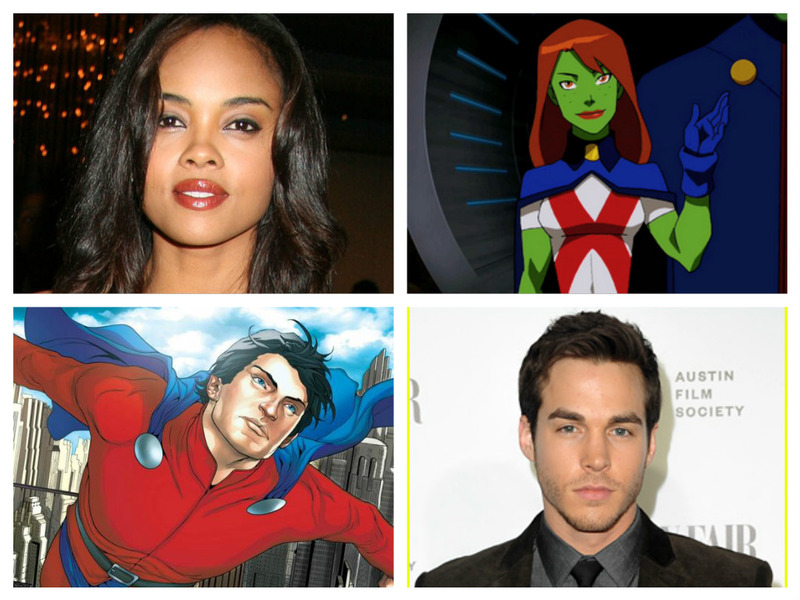 Miss Martian will also be appearing and be played by Sharon Leal (Grimm, Dreamgirls). Mon-El aka Lar Gand, is a Daxamite and has similar powers to Superman but is weakened by lead instead of Kryptonite. Usually, Mon-El is a member of the Legion of Superheroes, a super team from another millennium in the future, but it's not clear if we'll see his affiliation play into the show. It does clear up who was in the escape pod that Kara opened in the season one finale. Miss Martian/M’gann M’orzz/Megan Morse, is a white martian who escaped the war between the green martians and the white martians on Mars. In the comics, she pretended to be a green martian when she joined the Teen Titans. Her background is sure to be in conflict with J’onn J’onzz/Martian Manhunter/Hank Henshaw (David Harewood) whose devasting past was the subject of an episode when a rogue white martian wreaked havoc on and episode last season. Supergirl season two is adding many other familiar names from the comics as Lena Luthor (Sarah Grey), Maggie Sawyer (Floriana Lima), Snapper Carr (Ian Gomez), and Superman (Tyler Hoechlin) will appear this coming season as well. And yes, there will be a musical two-part episode crossover with CW's 'The Flash' late in the season. Supergirl season two begins on Monday, October 10 at 8 pm EST on The CW.